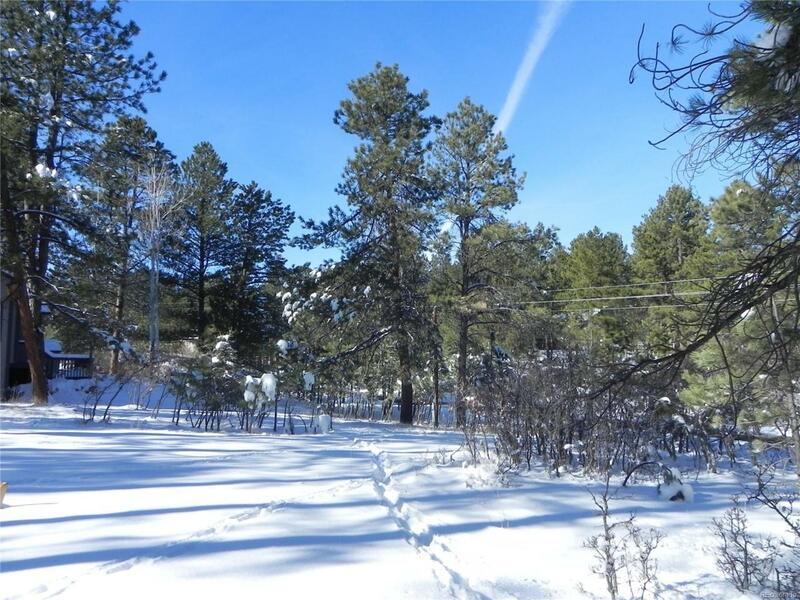 0.45-Acre Lot in the Forested Subdivision of Sage Port Filing #1 *Fully Ready-To-Build! * County-Maintained PAVED Road, all utilities are at the road including public water and sewer lines, natural gas, electric and phone. High speed internet was also added to this subdivision in 2018 * NO HOA and NO ACC, however there ARE covenants. Call for a copy! * Easy access to I-25 and the Bear Dance Golf Course (a public 18-hole course that is Colorado's headquarters for the PGA) * Have survey and soils report--corner pins are flagged! Gently sloping topography uphill from the road--an easy build. Has soaring Ponderosa Pines for that Colorado mountain feel and is on a school bus route for consistent snow plowing. Enjoy roaming herds of whitetail and mule deer, wild turkey, red & silver fox, plus seasonal hummingbirds. Convenient location for an easy commute to the Denver Tech Center (DTC) or south towards Colorado Springs and the Air Force Academy. Priced right--lowest price in the subdivision!